From his acid-jazz, soul tinged debut album ‘Welcome To The Best Years Of Your Life’, to the 2011 house LP ‘There's More To Life Than This’ (Strictly Rhythm), Ben Westbeech has shown his artistic range. His alter ego Breach burst onto the scene in 2010 with 'Fatherless', showing a rawer side to his productions. 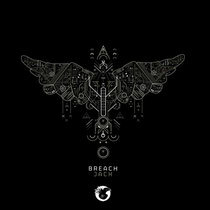 Now he has teamed up with dirtybird for the full release of 'Jack'. Claude VonStroke: “I had dinner with Breach in London and he told me ‘hey, I have a track that is really dirtybird. I would put it out but it’s really sounding right for you guys.’ I took this with a grain of salt but then I heard ‘Let's Get Hot’ and I found out he was right. It's got the swagger and the sound. It makes girls grind their asses into boys crotches on the dancefloor. Perfect. Signed.